Cantlow put his previous lacklustre Cheltenham visit well behind him with an authoritative success in the Glenfarclas Cross Country Chase on 9th December. Charme Look, the favoured nine-year-old chestnut gelding, with jockey Jan Faltejsek won the 126th Grand Pardubice steeplechase. Faltejsek scored his fourth victory in the prestigious 6900-metre horse racing. Charme Look was leading the race from the beginning. Newcomer Ange Guarduan with jockey Jan Kratochvil finished second, followed by Zarif with Josef Bartos. Legendary Czech jockey Josef Vana Senior, 63, eight-time winner of the famous steeplechase, did not participate in the race this year, for the second time in a row. However, he says he would like to start next year. After winning in fantastic style at Hippodrome du Lion, Vinga wins another race in the series under Jockey Felix Giles. An entirely French-trained field of 8 lined up to tackle the Waregem leg of The Crystal Cup on the 30th of August, with trainer P.Quinton responsible for half of the runners. He did not go home empty handed as his grey 9 year old Taupin Rochelais came home 20 lengths ahead of stablemate Varabad Du Buisson. In 3rd was This Is It, trained by P.H Peltier, with two more Quinton trained horses, Martalin and Aladin Du Chenet, 4th and 5th respectively. The 6th and final finisher was Tout Est La, who is both trained and owned by Jean-Louis Bertin. Congratulations to the winning connections of Vinga. Trained by Emmanual Clayeux, owned by Mme Jacques Cypres and ridden to victory by British jockey Felix Giles who will receive double points for the win in France. Quantitativeeasing won in impressive style under jockey MP Walsh at Pucnhestown for Enda Bolger and JP McManus. Edna Bolger also trained second place Cantlow. 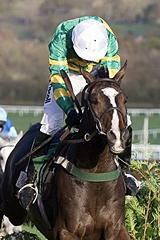 Feb 07 Saltburn jockey James Reveley won Pau’s big cross country race of the year in France on Saying Again. The Yorkshire jockey gave up his Christmas so he could ride the horse at the French track in a prep race on December 25. 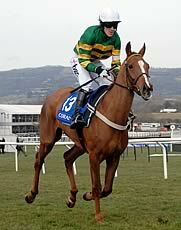 Dec 11 Nina Carberry steered Josies Orders to his second Cheltenham victory in the space of a month in the Glenfarclas Cross Country Chase on December 11. Having won on his debut at Prestbury Park at the Open meeting in November, Enda Bolger's seven-year-old was once again prominent in the market at 11-4 and was always travelling strongly under a typically confident Carberry ride. Nov 14 Olcani, trained by Isabelle Pacault and ridden by Stephane Paillard, win the Grand Steeple Chase Cross Country de Compiegne on Saturday, 14 November 2015. Oct 11 Nikas, trained by Stanislav Popelka Jnr and ridden by Marek Stromsky, won the 2015 Velka Pardubicka two years after finishing runner-up in the Czech Republic's world-renowned cross country race. 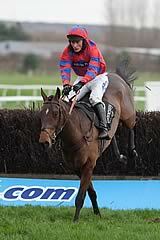 Favourite Rabbit Well finished 5th. Sep 26 Martalin, trained by Patrice Quinton and ridden by Arnaud Cisel, wins the Premio Delle Nazioni in Merano. 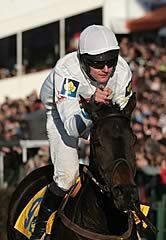 Sep 06 Jerome Follain trains the first two home in the Grand Cross de Craon Steeple Chase. 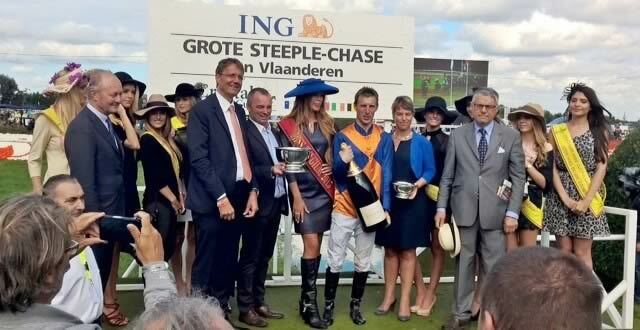 Sep 01 Taupin Rochelais, trained by Patrice Quinton, wins the Grand Steeple Chase des Flanders. May 25 Horses trained by French trainer Patrice Quinton finish 1st and 2nd at Frauenfeld Racecourse, the 5th stage of the Crystal Cup series . Any Currency brought up a fantastic Martin Keighley double with Aidan Coleman riding the winner of the Glenfarclas Cross-Country Handicap on day one of The International meeting at Cheltenham on Friday, December 12. 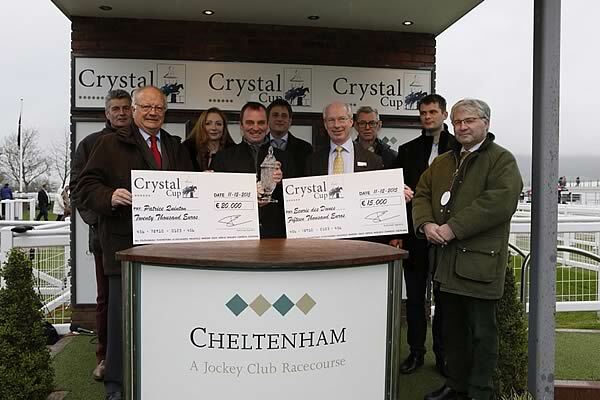 Patrice Quinton and Ecurie Des Dunes win the 2014 Crystal Cup series. Star D'Estruval, trained by Christo Aubert and ridden by Ludovic Philipperon, won the Grand Steeple Chase Cross Country De Compiegne on November 15. Orphee Des Blins, trained by Greg Wroblewski and ridden by Jan Faltejsek, won the Velka Pardubicka for the third year in succession. Click here to see the full result. Ara Gold, trained by Paolo Favero and ridden by Josef Bartos, won the Premio Delle Nazioni - Memorial Marco Rocca on September 27. Balthazar King and Richard Johnson successfully defended their title in the Grand Cross-Country de Craon on September 7. Philip Hobbs' versatile 10-year-old fell on his most recent visit to France in a big event at Le Lion d'Angers in late May, having earlier chased home Pineau De Re in the Grand National. The dual winner of the Cheltenham Festival cross-country race was paraded in front of the stands at the north-western French course after his three-length defeat of Kapville. The Crystal Cup European Cross Country Challenge was a new initiative developed in 2010 that brings together the finest international horses and riders to reward the most successful stable in cross country steeple chasing. The 10 race series, with over 700,000 Euros in prize money, will be hosted by many of Europe’s premier racecourses, over unique combinations of hedges, banks, ditches and timber. The 2014 Challenge began in Pau in South West France in February. The final race is at Cheltenham in December following four further races in France and visits to Ireland, Belgium, Italy and to the Czech Republic for the Velka Pardubika.